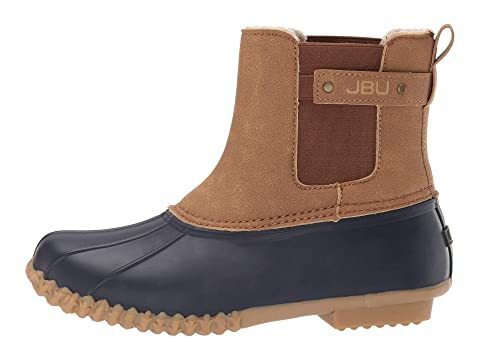 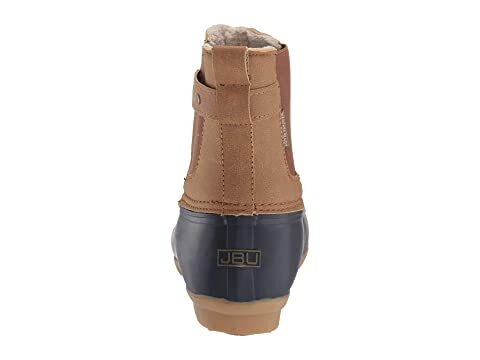 The stylish look and waterproof comfort of the JBU™ Spruce rain boot will always have you looking forward to rainy days! 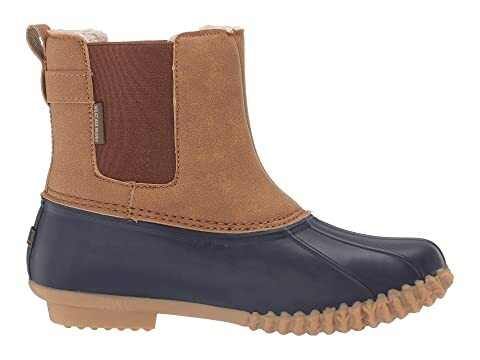 Pull-on short rain boot with side gore panels and back pull loop for easy on and off. 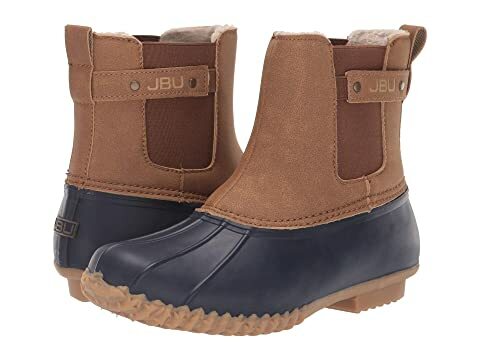 Waterproof upper made of a burnished vegan leather upper with a rubber foot. 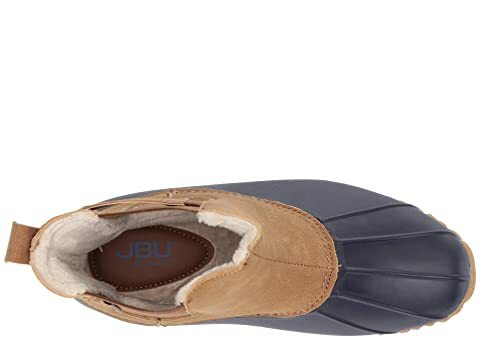 Features leather strap accent on shaft with JBU logo for added style. 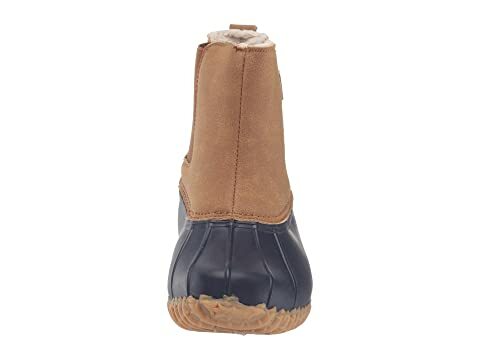 Soft faux-fur lining for added warmth and comfort. 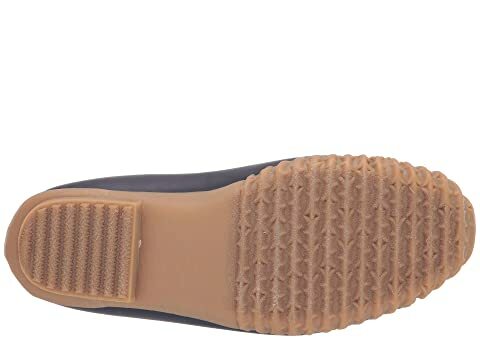 Non-marking All-Terra Traction outsole features partially recycled, compressed rubber for optimal traction and durability.